Engagement has been one of the sweetest and most refining seasons of my life. We’re less than four months away from the big day (more on my wedding planning journey will be coming to the blog this January! ), and it’s been an opportunity for my fiancé and I to lay the groundwork for one of the best parts of life—our marriage. 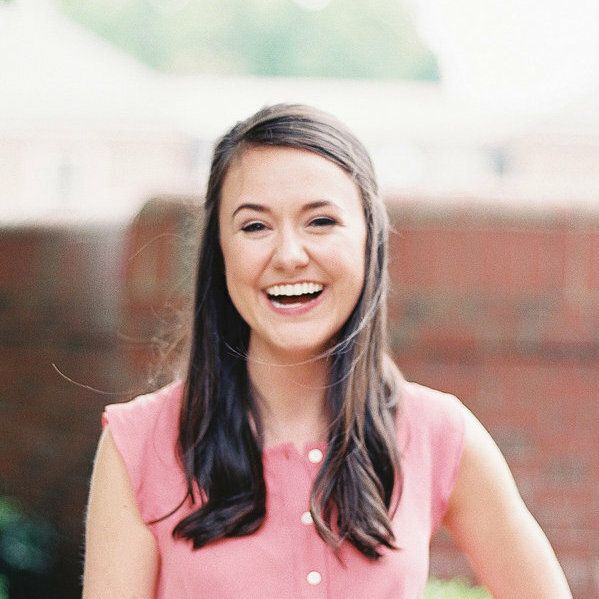 The privilege of working for Southern Weddings gives me a treasure trove of real wedding interviews from brides who have walked before me and shared their best wedding planning advice. One of the most common pieces of advice I’ve heard? Set a goal for your wedding, and run each decision you make through it. It’s been one of the most helpful pieces of advice during wedding planning, and we know it carries over into planning for our marriage, too! While I won’t claim to be a goal-setting expert by any means, I’ve learned a lot from our sister brand, home of the PowerSheets Intentional Goal Planner, and the amazing ladies I work alongside. Today in the spirit of the new year, I’m excited to share some tips for how to incorporate goal setting into your relationship! Create a common language. Logan and I are paying for the majority of our wedding ourselves, and we quickly realized that our money can easily disappear if it isn’t connected to what matters to us. By setting a goal for our wedding and asking ourselves four questions each time we make a decision, we’ve created a unifying language that makes it easier to have what could be difficult conversations. Why? Because we’re on the same page about our end goal. Those simple questions have diffused a lot of tense conversations and decisions we’ve had to make over the past two months. Explain why goal setting has worked for you. If your significant other isn’t fully on board right away, explain why goal setting matters to you, what excites you about it, and the difference it has made in your life. Give tangible examples and be open to hearing his thoughts, too. Sharing my PowerSheets with Logan over the past two years has helped keep me accountable, and it’s given me a cheerleader on the days I don’t necessarily want to work on my goals (ahem, gym days!). Play it cool. Introduce the idea of goal setting gently. If you’re hoping to set goals together, don’t bust out eight different colored pens, stickers, PowerSheets, and your calendar and ask for a three-hour block of his day all at the same time. That’s a sure fire way to send him scurrying away! If you think sitting down for a large chunk of time isn’t in the cards, try incorporating some prompts from your PowerSheets into your normal conversation. I’ve found that some of our best conversations happen during long car rides (great for upcoming holiday travels) or on Sunday afternoon strolls. Make it fun. Whether you’re celebrating your first holiday together or your fiftieth, I’d venture to guess that some of your favorite memories stem from traditions in your family. The same can be true for goal-setting! Make setting goals for your family fun by incorporating things you love. Have a favorite restaurant that falls beyond your typical eating out budget? Make it a special date night and enjoy a leisurely dinner together. Love traveling and exploring new places? Choose a recurring weekend each year, and make it an adventure. A change of scenery can be helpful for you to dig deep together. Look at what fires you up as a couple, and incorporate those things into your goal setting! Seek guidance. If I’ve learned anything during wedding planning, it’s that asking for help from those more knowledgable than me isn’t just recommended, it’s required. The same is true for goal setting. Instead of flying solo, look to others with more experience! Our founder and sister brand, the Cultivate Shop, created the PowerSheets Goal Planner to help you cultivate what matters most in your marriage. Whether you use PowerSheets or not, there’s a plethora of resources available. Find them, and use them! Write it down, and celebrate your progress. A hallmark of the PowerSheets is that you don’t just say goals out loud and forget about them. You write them down, post them up in your home, and return to them regularly. When there’s progress to celebrate, do so with abundance! Make your favorite meal for dinner, go out for ice cream, go to the beach for the day, take the afternoon off of work and go to a movie–whatever is meaningful and fun for the two of you, do it. We’d love to hear from you! Do you and your significant other set goals? Share your best tips, tricks, and advice for setting goals in your marriage below! Love this. Goal setting has been so crucial in our marriage. We make a point every 3 months to have a goal setting meeting.we plan goals 1 month away, 3 months, 6 months, 1 year and 5 years. Both in regards to work, personal growth and travel. (We love traveling, so it’s important to plan trip goals for us). Lots of goals! But it helps us stay on track as a team, build each other up and celebrate those accomplishments. ? Love that you plan goals for those increments, Heather! We’re hoping to invest in a house this year, so my fiancé and I will definitely need to have goal-meetings and checkpoints to stay on track! My husband and I have been married for 14 years and we always set goals together. And not just new year’s goal but monthly and quarterly goals, We also meet on Sunday afternoons and in addition to planning for the week, we use that time to check in on goals. We are accountability partners and that helps.